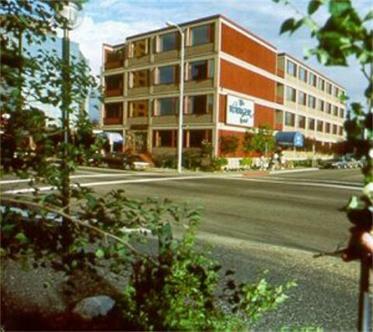 Enjoy the warm friendly hospitality of Anchorage's premier small hotel.It's cozy lobby, tastefully decorated in lavender and charcoal gray, immediately speaks of its international flavor. The Voyager is well known for it's friendly, personal service & convenient downtown location. It's in walking distance to the convention and performing arts centers, many fine restaurants,shops and visitor attractions.